Italian novelist Elena Ferrante has become a worldwide sensation with her Neapolitan novels. 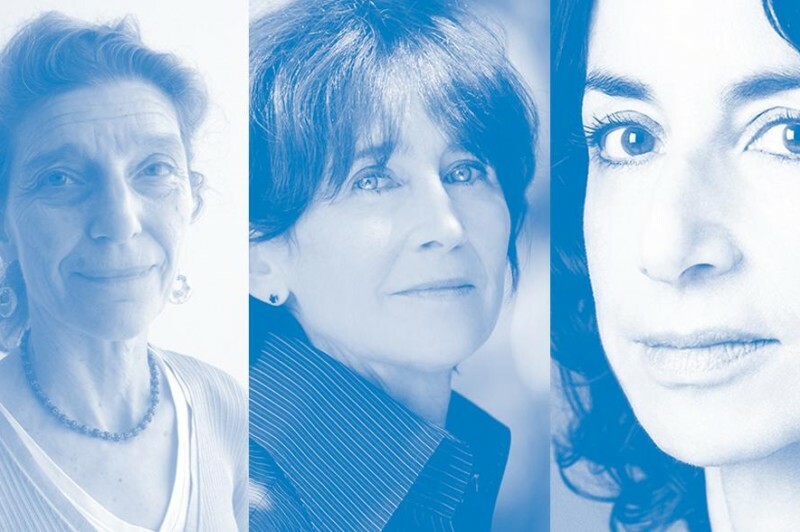 Ann Goldstein, Ferrante’s longtime English-language translator, joins authors Roxana Robinson and Judith Thurman to discuss the work of this enigmatic author and her collection of essays and letters, Bits and Pieces of Uncertain Origin, coming out in November. The evening is hosted by WNYC producer and Los Angeles Times critic-at-large Rebecca Carroll. Roxana Robinson is the author, most recently, of the novel, Sparta, and also eight other books: four novels, (Cost,Sweetwater, This is My Daughter, and Summer Light) three short story collections, (A Perfect Stranger, Asking for Love, and A Glimpse of Scarlet) and the biography of Georgia O’Keeffe. Four of these were named Notable Books by The New York Times; Cost won the Maine Writers and Publishers Award for Fiction, and was named one of the five best novels of the year by The Washington Post. Robinson’s work has appeared in The Atlantic,The New Yorker, Harper’s, The New York Times, Best American Short Stories, Tin House and elsewhere. She has received fellowships from the National Endowment for the Arts, the MacDowell Colony, and the Guggenheim Foundation. She has taught at the University of Houston, Wesleyan University, the New School, and the graduate writing program at Hunter College. She has served three terms as a trustee of PEN, and is currently the President of the Authors Guild. Judith Thurman is the author of Isak Dinesen: The Life of a Storyteller, winner of the National Book Award, and Secrets of the Flesh: A Life of Colette. A staff writer at The New Yorker, she lives in New York City.